Chiropractic is a healthcare system that uses evidence based science to help patients suffering from back and neck pain as well as other conditions. Chiropractic is drug-free and non-invasive form of health care. Chiropractic care includes a wide variety of other treatments, including manual or manipulative therapies, postural and exercise education, ergonomic training (how to walk, sit, and stand to limit back strain), nutritional consultation, and physical therapy. In addition, chiropractors today often work in conjunction with primary care doctors, pain experts, and surgeons to treat patients with pain. Sports are not only to professional athletes. Treatments will extend beyond the spinal column which includes extremity care and treatment of muscles, ligament, and tendons. Sports participation lead to strains, sprains, and stress on different parts of the body. 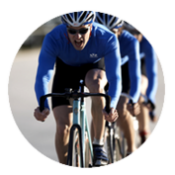 Whether your personal goal is walking, running, swimming, we want you to get better as fast as possibly without the use of drugs or surgery, and get you back to an active life. Lifestyle changes may help prevent injuries from happening and flaring up again. When you’re in an auto accident, your entire body can be affected. Nerves, ligaments and joints can be injured. 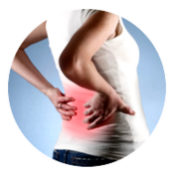 You may have strains, sprains and other forms of pain such as disc herniation. Occasionally, you may not even experience discomfort until some time has passed. It’s important that you’re checked by a chiropractor after an auto accident to avoid pain now and in the future. 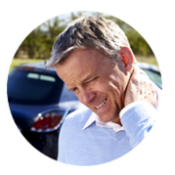 Depending on your posture at the time of the collision, you may have pain in your arm, neck or back. Numbness and spasms are also common symptoms. If you delay seeking care, the problems in your body will not only cause pain but will be more susceptible to future injury. We recommend massage in combination with your chiropractic care. While chiropractic focuses on the relationship between the spine and its impact on the nervous system, massage focuses on the 650 muscles of the body.